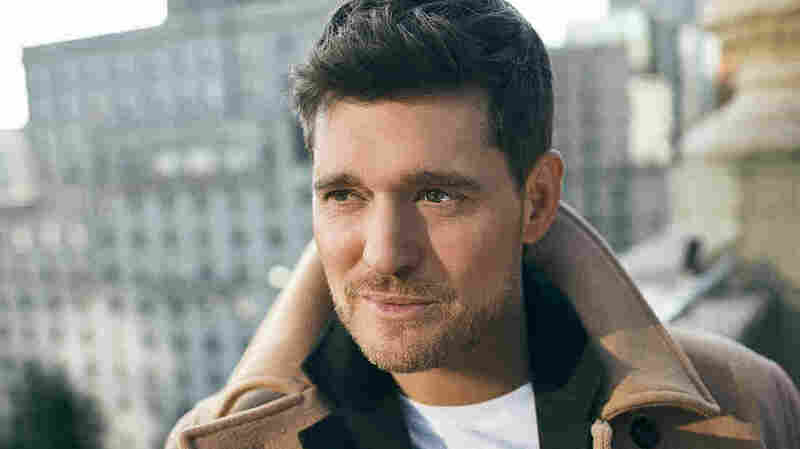 Michael Bublé Wants To Spread The 'love' On his latest album, love, the Canadian crooner interprets classic love songs of the past century. Michael Bublé's love is out now. Michael Bublé has a way of making even the most cold-hearted among us feel a little warmth. The Canadian crooner has been synonymous with feelgood standards for years, took a break from public life for the last two years as his family grappled with his son's cancer diagnosis — a period he describes as transformative and humbling. Now he's back with his tenth studio album, love, and Bublé seems to want to spread the love more than ever. It's love that bears the cover of his latest album, simply declared with one red heart emoji. "My family did go through a rough time, and it still can be rough, but I think that it gave us all of a great perspective on life, and what's important and what matters," Bublé says. "Not just what matters to us, but what matters to everyone. That word love is a big word. I think when you really get to a point in your life where you break everything down, and you really realize what matters and what's important, it is love." Between the hardships that his family was facing and the current state of the world, Bublé felt that there was no room for negativity in his life or his music. He decided to return to the studio in an effort to bring a bit of joy to his audience through interpretations of classic love songs from the past century, including standards "Unforgettable" and "When I Fall In Love." "I'm not healing the world in some magical way, but I love that I can be a small part of making people feel better," Bublé says.